The U.S. Drought Monitor tracks drought conditions across the country every week. We’ve seen the image of a half empty Lake Powell and the now iconic bathtub ring around its rim. We’ve heard the stories coming out of California about wells running dry. We’ve learned a new term: sprinkler shaming. We know enough to know we’re in a drought, but what does that mean? What is drought? What should we do about it and why should we even care? On The Source today, what we talk about when we talk about drought. Part 1 - What is Drought? 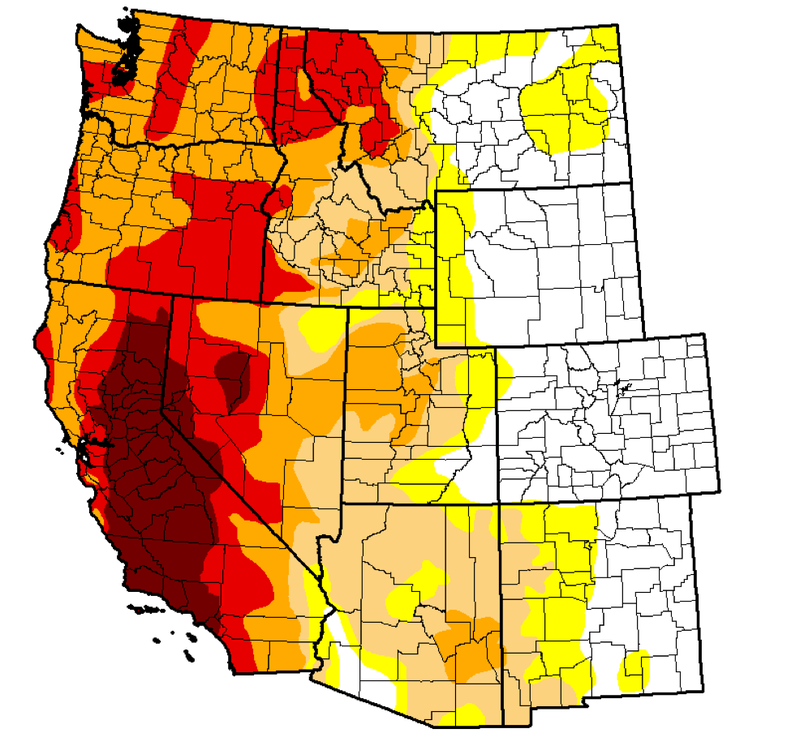 The National Drought Mitigation Center puts out a map every week of the U.S. Drought Monitor. Brian Fuchs is a climatologist who helps put together the map each week. He says drought is both “natural” and a “disaster” and explains that we can’t prevent drought but we can mitigate its impact. Utah’s state climatologist Robert Gilles talks about the climate cycles that dictate whether we’ll be wetter or drier than “normal” (though he doesn’t like the word normal or “drought” for that matter). Part 2 - What Does Drought Look Like? Professor Courtney Flint and a team of researchers went door-to-door in some Utah counties last summer and asked people about the role water plays in their daily lives. And while a lot of Utahns feel underinformed about water conditions, they don’t necessarily need to be told there’s a drought. They notice when things are drier. They observe the effects drought has on their yards and their surroundings. Cowboy Ted Hallisey has been traveling to all of Utah’s state parks this summer and noticed that water levels at some lakes and reservoirs in particular were changing how people were recreating. Jennifer Pemberton met up with him at Hyrum State Park to ask him about what he was seeing. Part 3 - Can We Value Water Like the Fremont? One way to study the paleoclimate is through tree rings from ancient trees. Another way is to study ancient people. The Source’s Ross Chambless spoke with archeologist Larry Coates who is piecing together clues for how people a thousand years ago coped with drought in what we now call Utah.